Beans are a dietary staple throughout the world, grown in a multitude of varieties and eaten at various stages of maturity. Though they belong to many different plant species, they can be divided into two broad categories-edible pod beans and fresh-shelled beans. Beans are quite sensitive to cold temperatures and frost. They should be planted after all danger of frost has passed in the spring. The terms “shelling beans” and “dry beans” refer to the stage at which beans are picked, not a specific type of bean. Fresh shelled beans include flageolets, buttery lima beans, winged beans, red-flecked cranberry beans, and fava beans. 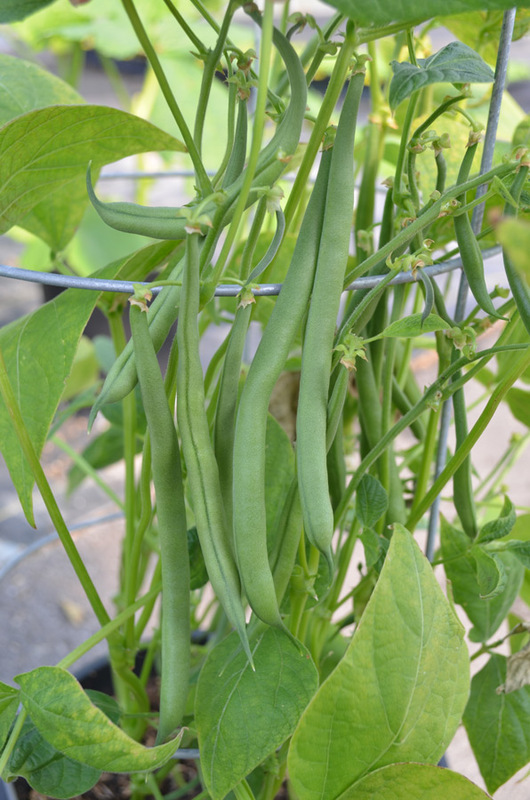 Common names for snap beans are green beans and string beans. The name string bean arises from the tendency of pods to develop a “string” along the ridge of the pod, which won’t soften even after cooking. Almost all snap beans now are stringless at harvest thanks to American botanists. The beans that you pick from these plants are actually immature pods. 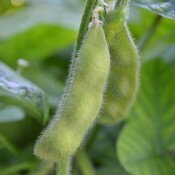 Snap beans are available in bush type or pole varieties. For beginners, bush beans are the easiest beans to grow. 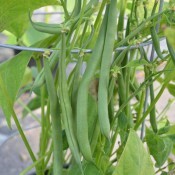 Bush beans quickly yield a crop on compact plants. Beans are known to help nearby plants by enriching the soil with nitrogen. It is an excellent companion plant to beets, corn, nasturtiums, and strawberries; however, beans should not be planted by members of the allium family such as onions, garlic, and chives. Good source of dietary fibre, vitamin A and potassium, calcium, iron and a fair source of vitamin C. They are low in calories-about 30 calories per cup of cooked beans. The pods should be crisp enough to snap in two at the center when bent, but pod tips should be flexible and bend without breaking. Seeds inside the pods should be very small. Pull the pods off the plants without breaking the stems or damaging the foliage. Refrigerate, unwashed, in a plastic bag for up to 4 days. To freeze, snap off the ends and blanch for 2 minutes (small pieces) or 3 minutes (whole beans). Cool in ice water; then drain and freeze.